Read more about "prime minister of ukraine"
Fifty million hryvnas (about 17 million zlotys) for the construction of the stadium will have been given to Lviv before the end of this year. Such a declaration was made on Tuesday in Lviv by the Ukrainian Prime Minister Yulia Tymoshenko after hearing the report of the city authorities on preparations for the European Football Championships in 2012. Tymoshenko stressed that the situation of the construction of stadium in Lviv was improving…. 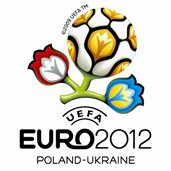 Could Ukraine lose Euro 2012?